At one of the Galas a Canadian "Log Roller" gave a demonstration of Log Rolling at the Pond, He later went on to become the Pondmaster at Dunbar swimming Pool. 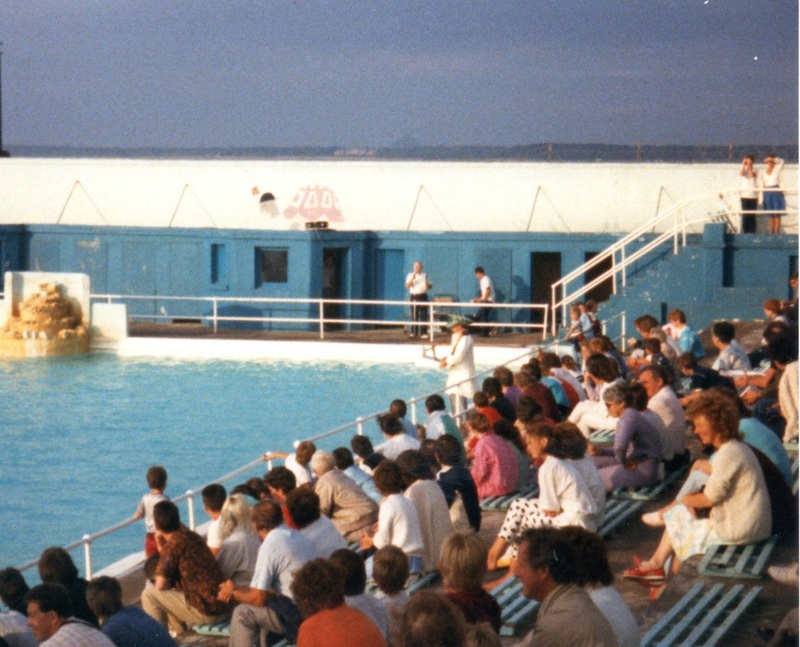 For many years the crowning ceremony for the Cockenzie and Port Seton Gala took place in front of the Pond hall entrance. This comprised of a raised stage. It was moved to the King George V playing fields, before making a brief return to the Pond hall. "Its a Knockout" (as per the TV show of the time): Organised as part of the Community Week by the local Pondmaster. This involved children mainly from the Local Primary School competing in two teams. One called the Flintstones and the other the Wombles. The Pond Hall car park was used during Community Week for the "Bogey Race" competition. 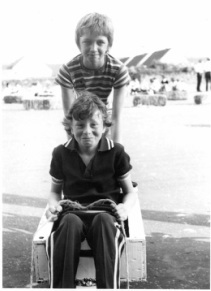 These were wooden based: Often they were built from a wooden fish box, with a set of old pram wheels. A set of wheels would be nailed to the rear, another acted as steering, usually via a length of rope. Races would take part between 2 teams for 2 laps of a make shift circuit. Bales of straw would mark out the course. One rider would push the bogey and the other would sit and guide the bogey round the track, after one lap they would swap over. A final would take place to get a winner. In addition , a prize was given to the best dressed bogey. Swimming galas were held. 4 of the original swimming trophies were competed for. AQUA SPECTACULARS. These where introduced by East Lothian District council. The first show was watched by some 200/300 people, the rest of the shows where never watched by more than a dozen people. 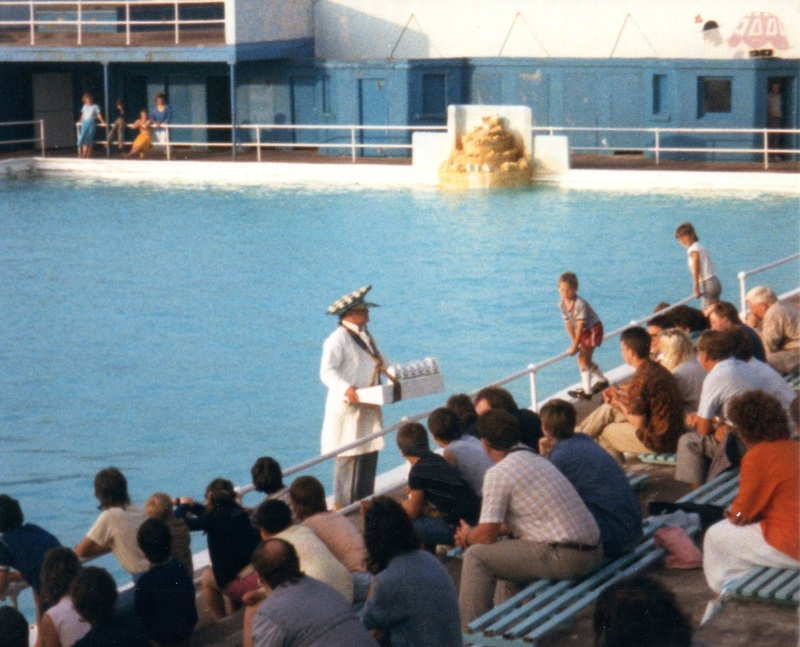 The show involved various acts from clowns, Model Boat displays, A Houdini Act (a man chained & tied in a sack, then thrown in a the deep end of the pool, he then escaped from the sack after a few minutes), Synchronised swimming and a Disco Dancing display. 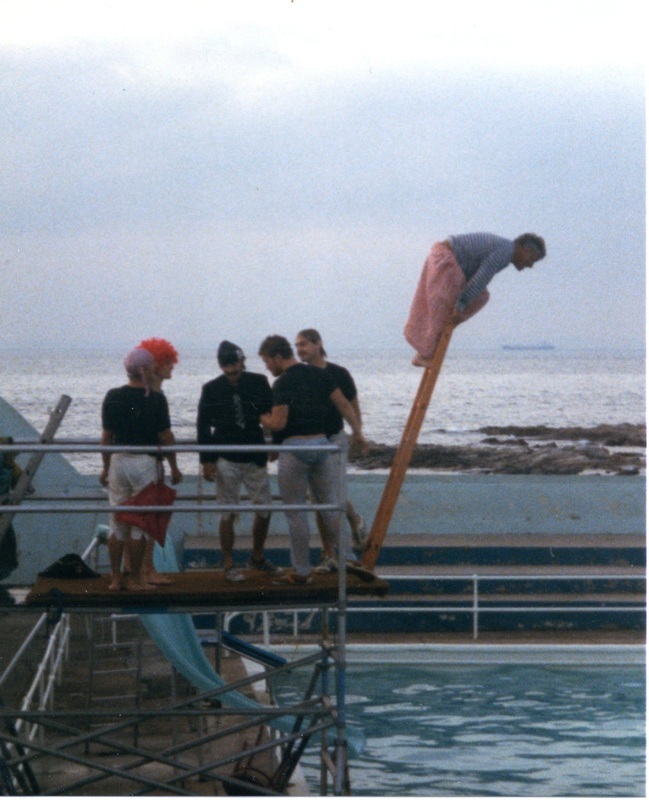 Drew Kennedy was the brains behind the water theatricals. 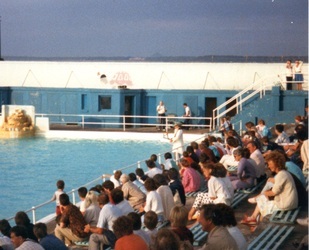 Part of the show was a boat getting pulled the length of the pool, it acutally sank at one show, the audience thought this was part of the show, but it wasn't planned. 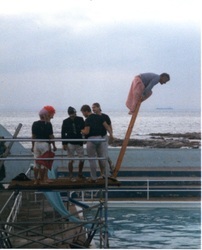 Eric Smith gave displays of diving .